On January 23rd, the record for wind power production in Spain was broken with 373 GWh in 24 hours and today we still have days with a lot of wind, which means that a very important part of the electricity demand is covered with wind power. It is in these days of records when the media echoes the important contribution that renewables already have in the national electricity system. It is also a good time to make a brief review of what has been 2018 in terms of wind and solar production in Spain. The truth is that the annual data for 2018 have not yet been published but thanks to Entso’s great site, we can now have all the electricity generation data in Europe in real time, so it is possible to make our own analysis. And that is what I have done here: I have downloaded the daily wind and solar production throughout 2018 in order to draw some conclusions. The seasonality of both is clearly appreciated but with the good news that it is complementary: in summer there is less wind but it is when more solar is produced. This is very important because the solar will grow in installed capacity and better compensate for low summer wind production. It is confirmed that wind is much more variable than solar. The saw curve of the wind is in some cases spectacular, such as last February 15, which in just 48 hours went from generating almost 300GWh to less than 50GWh. As can be seen, wind supplied 53% of the demand. Another curious detail in how the daily peaks are attended: the midday peak is covered with the contribution of the solar, but the 21h peak, as there is no solar, has to be covered with hydraulics (abundant in March). It is curious that the maximum solar production was on May 16. This may be due to the fact that in May there are already many hours of sunshine, but it is still not as hot as in summer, so the modules work better and produce more. It is very illustrative that the peaks in the daily price of electricity coincide exactly with the inverse peaks of wind production: in March with the peak of wind was reached in minimum price of electricity and vice versa in September. As a curiosity, let’s look at the pattern of wind and solar generation in 2018 of the European country with the highest installed capacity: Germany. Germany has been the first European country to reach 1TWh of daily production with wind power. It happened on December 8 and was thanks to the increasing contribution of offshore wind. And once again the variability of the wind is evident when with a separation of 34 calendar days we go from the historical record (8-Dec) to the annual minimum (11-Jan). This analysis confirms with data several things we already knew: the direct relationship between renewables and lower electricity prices, seasonality and variability in production and the increasing weight in the generation mix. In the previous post on this blog commenting on Lazard’s latest LCoE report, I made some comments on the competition between renewables and more specifically between wind and solar as the most viable and cheapest renewable sources of generation today. As a result of this article, I received several comments on this subject, some asking for more multi-technology auctions where the prime is the lowest committed price and others remembering that not everything is the price when planning the generation mix. The truth is that it is a hot topic as news like the last mixed auction in Germany where the solar PV took all the projects in front of the wind make more and more voices are heard advocating mixed auctions where, as expected, the solar offers unattainable prices for other technologies. Will PV solar be unbeatable in price? It is one of the main drivers to reduce the cost and as we see in the graph, the volumes of the solar are already much larger than those of wind and the trend is that this difference is becoming larger. The reason is obvious: the solar resource is the same in urban and non-urban environments while the wind resource is very scarce in urban environments. Anyone who has seen the installation of a wind farm and a solar park already knows what I mean. The solar avoids much of the technical complexities of the wind: no work at height, no need for large cranes, no heavy elements, no mechanical elements that rotate, the dimensions of the components are small, and so on. For me, an example that clearly shows this difference are the floating projects: in the case of wind are projects worthy of a chapter (or two) of the mega-structures program, while the solar, are panels with floats underneath. Another very illustrative example of this difference is the O&M: in solar is basically to clean the modules well and occasionally change small elements while, in wind, any corrective is already complex only by height and dimensions. Raw materials: In solar, the element that weighs the most in the cost (the modules) are basically connected semiconductors. It is therefore based on silicon as well as chips so it could potentially follow a Moore’s law-type curve of cost/size reduction (I know this is very debatable, so I say potentially). Wind, however, is mostly steel, fiberglass/carbon and concrete, elements that have less capacity to follow important reduction curves. R&D: this is key in technological sectors. The technology where the most investment is made is usually the one with the greatest advances. An indicative figure for investment in R&D are the published patents and, as can be seen in the data compiled by IRENA, patents in solar in 2016 are twice as high as those in wind power. Should price be the only driver? We are talking about one of the great weaknesses of the solar system. It is obvious that the hours of sunshine per day are what they are and do not cover one of the peaks of demand of the day (that of 20h). However, the wind is fairly evenly distributed throughout the 24 hours of the day, so it helps in all peaks of demand. This is where the batteries come in and their ability to “move” the solar for a few hours towards the late-night peak. But the reality is that in about 10 years, the cost of the batteries will not be such that it can be a “default” complement to the solar. The need to incorporate the time periods in the auctions because a kWh at 11 am and at 8 pm is not worth the same. If this were done, the solar would not be able to compete (for the moment) with the wind in certain hourly sections, which would make the results of the mixed auctions more balanced. I know this is a sensitive issue and nobody wants to talk about local content, tariffs or quotas, but you have to be aware of the differences: 9 of the top 10 module manufacturers and 4 of the top 5 inverter manufacturers are Chinese. In wind power, there is only one big Chinese manufacturer in the top 5. In addition, the local investment per MW installed (installation, logistics, O&M) in the case of PV solar projects is much lower than wind. The reality is that the rate of return on investment in the local European or Spanish economy in the case of solar projects is much lower than that of wind projects. 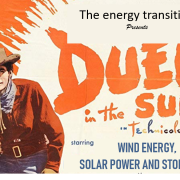 What seems clear is that the times of brotherhood between wind and solar when fighting against the common enemy “thermal” are over and each time there will be more cases competing in the same markets and for the same customers. We will see how it turns out, but what is clear is that for the world, any result will be beneficial.